Charles was born in Grassendale, Liverpool. At some stage his parents Joseph and Ruth lived at The Priory, Bidston, Birkenhead. 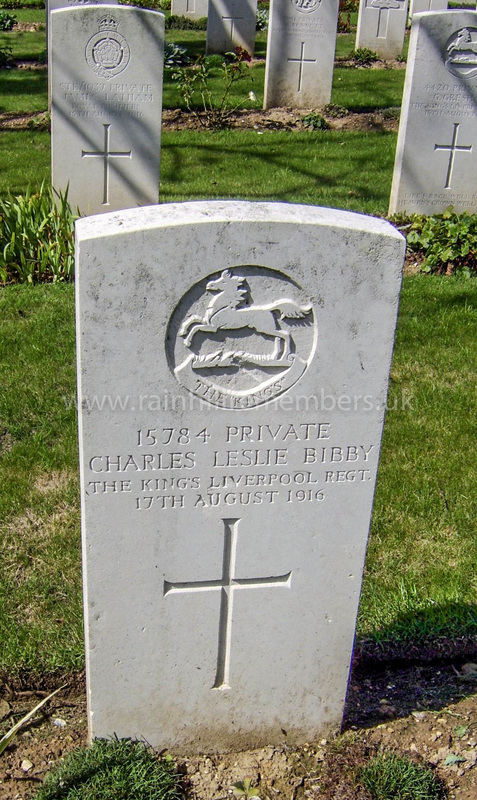 He enlisted in Liverpool on 1st September 1914 aged 22. Charles was suffering from influenza and was vaccinated on 15th February 1915 and spent 8 days in a Rainhill VAD hospital. 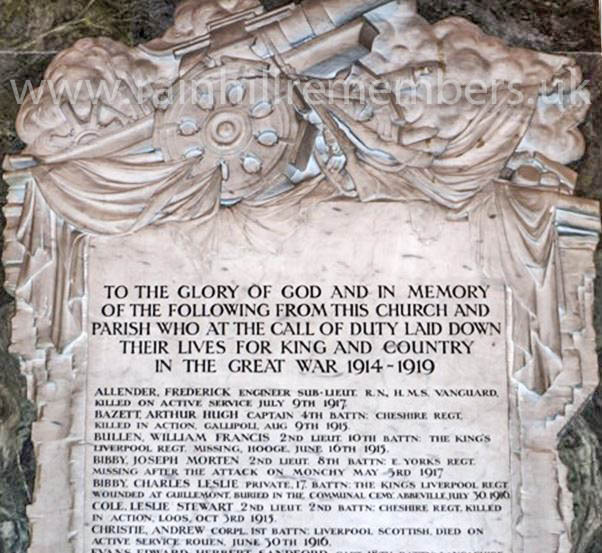 He was posted to France on 7th November 1915 and wounded at Guillemot on 30th July 1916, but died of wounds received in Abbeville on 17th August 1916 aged 24. His memorial is at Abbeville Community Cemetery.